Snuggle up: A onesie is a one-piece item of loungewear or sleepwear. Traditionally, onesies are worn by babies, but they exploded into adult novelty fashion in the 2010s. Third day of Christmas holidays. I'm walking around the house in a onesie drinking red wine like it's my job. Am I doing this right? Witty, wry, and even cloying sayings are trending in children’s clothing. On shelves now at Old Navy are onesies declaring “The snuggle is real” and “You had me at milk.” Crazy 8, a division of Gymboree Corp., sells “Smart like Mommy” and “I try to behave” T-shirts. That's why I fully believe that an absentee ballot is one of the ultimate gifts a person could give themselves. You can stand in your kitchen in your skivvies, and go right down through the list, sipping on your morning cuppa joe. I don't think anyone at the Cross Insurance Center wants to see me standing around in my Chewbacca adult onesie, deciding how I want my cast my votes. Where does onesie come from? The Brits seemed to like the new clothing item, though. Londoners made the onesie their own and even started dressing their babies in onesies in the 1950s after they had fallen out of adult fashion. In the early days, onesies were known as siren suits or union suits. It was with US baby fashion in the early 2000s that the term onesie really started to spread, though the word dates back to the 1980s (a one-piece garment with the cutesy –sy/-sie suffix). Fun fact? Previous, unrelated meanings of onesie include a move in the game of jacks. Also, just so you know, onesie is technically a trademarked term by Gerber, so don’t go selling your homemade onesies by that name. By the 2010s, adults had taken the onesie back. Google searches for onesie peak reliably every year around Halloween and Christmas as consumers online shop for costumes and excuses for a terrible Christmas morning onesie photo op. Today, onesie conversation is split between baby and adult fashion. Baby onesies usually snap at the crotch and have sleeves but not legs. Adult onesies tend to be one-piece pajama tops and bottoms. When discussing the tiniest onesies for children, you’re most likely to see discussions of the best fabrics for the baby’s sensitive skin. You’ll also probably run into some funny (and often tasteless) sayings printed on baby onesies. Adult onesies are billed by lifestyle writers and wearers alike as cozy, warm, and soft. They’re a go-to for a lazy day. Adult onesies aren’t just about the comfort. They’re also often seen as silly, especially those designed to look like giant animals. It’s not uncommon to see fans freak out over seeing their favorite celebrities in onesies. 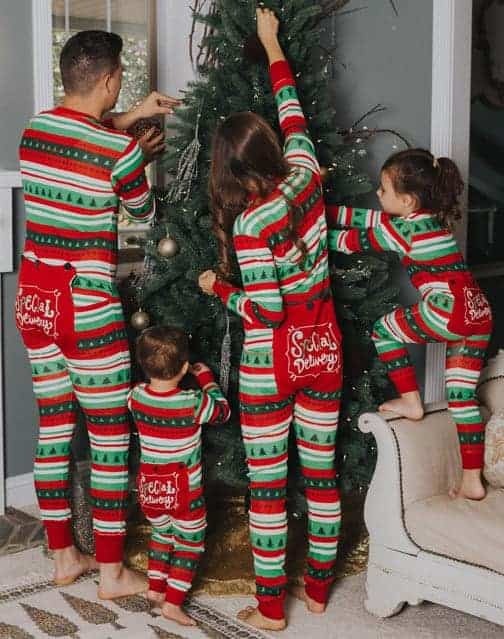 Onesies are also pretty popular in what’s known as the “adult baby” fetish community. So, if you’re looking for a recommendation for a slightly sexier adult onesie, head on over to that corner of the internet.